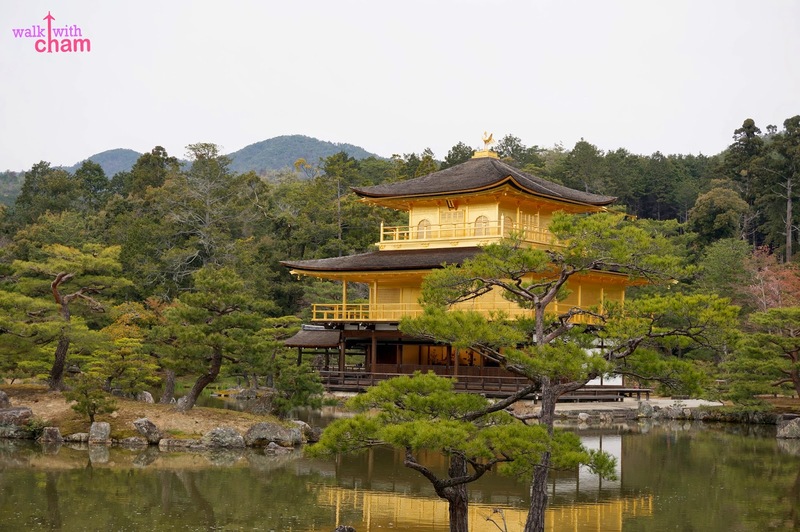 Kinkakuji Temple or Golden Pavilion is the most famous zen temple in Kyoto notable for its golden structure. From Kyoto Station we rode a Kyoto City Bus 205 and for about 40 minutes we were at Kinakakuji-Michi bus stop which was just a few minutes walking distance to the entrance of the temple. After paying Y400 (P175) entrance fee, we eagerly proceeded to the gate. The place was packed with tourists and we even saw a number of Filipinos making their way to the site. Tourists are only allowed to witness the beauty of the temple from a distance which is across the pond. But the sight of the Golden Pavilion from afar didn't disappoint. Because of its golden color the temple stands out from its surrounding. 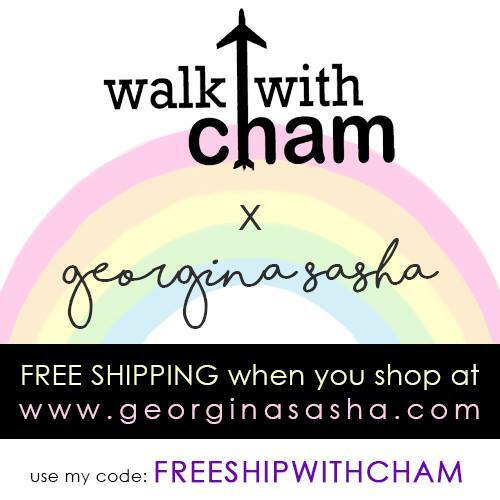 It looks stunning! My pictures didn't do it justice at all! 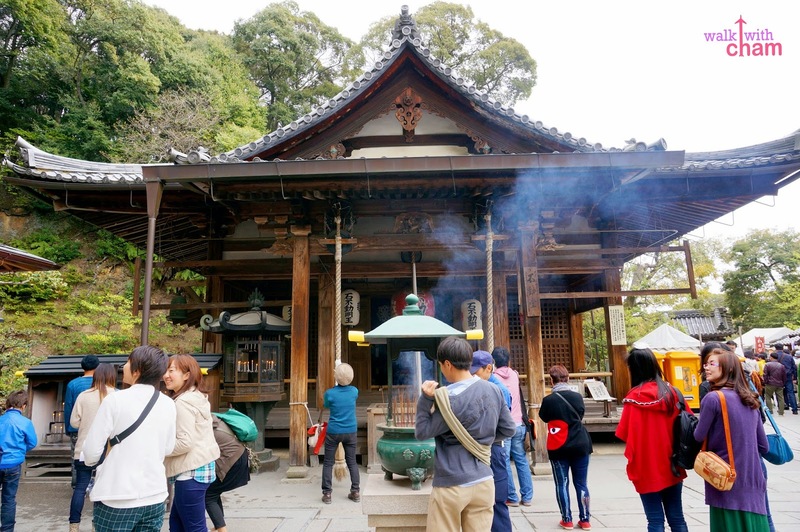 Kinakakuji Temple or Golden Pavilion is a Zen Buddhist hall containing relics of Buddha or what they call shariden (Buddha's ashes). It is registered as a World Cultural Heritage Site in 1994. 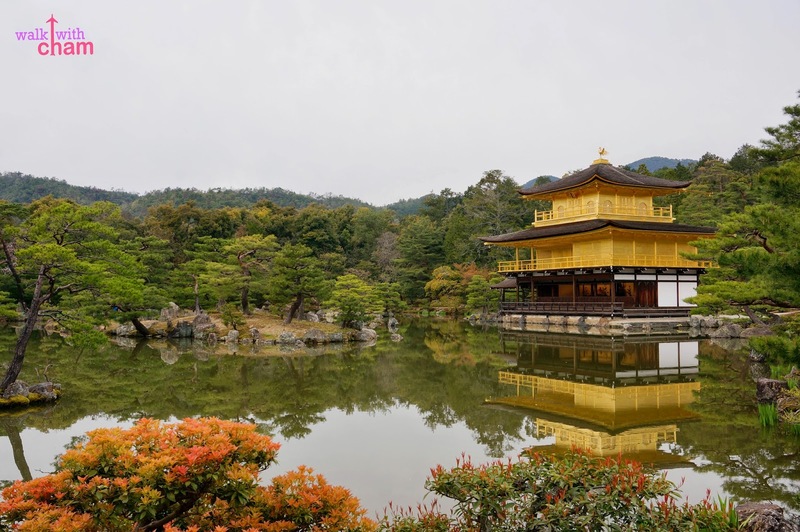 Because the temple is overlooking a large pond and surrounded by trees the shiny gold image of the pavilion and the trees around it are reflected on the water which makes the image looks more amazing. 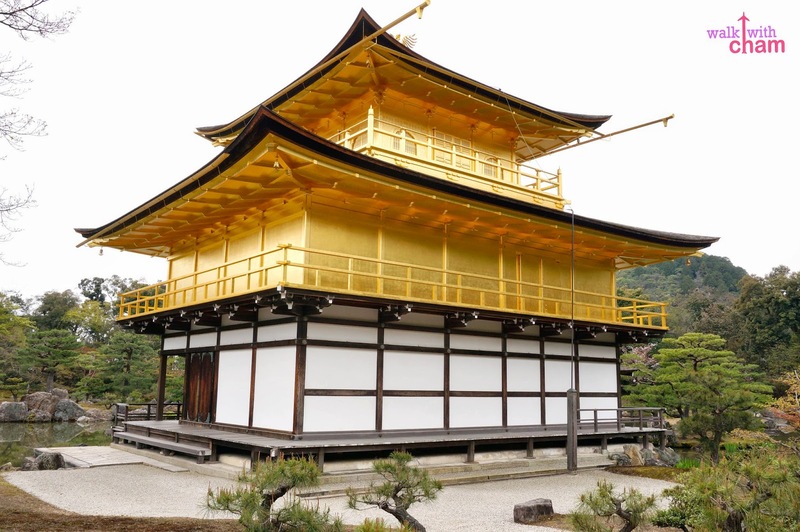 Kinkakuji Temple or Golden Pavilion is a three-story building, the top two stories of the pavilion is covered with pure gold leaf. 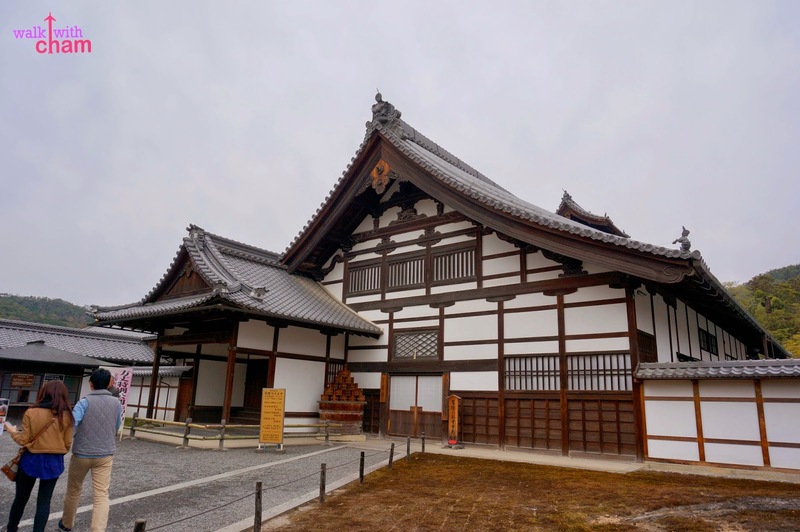 Each level incorporates three distinct style of architechture- shinden, samurai and zen. 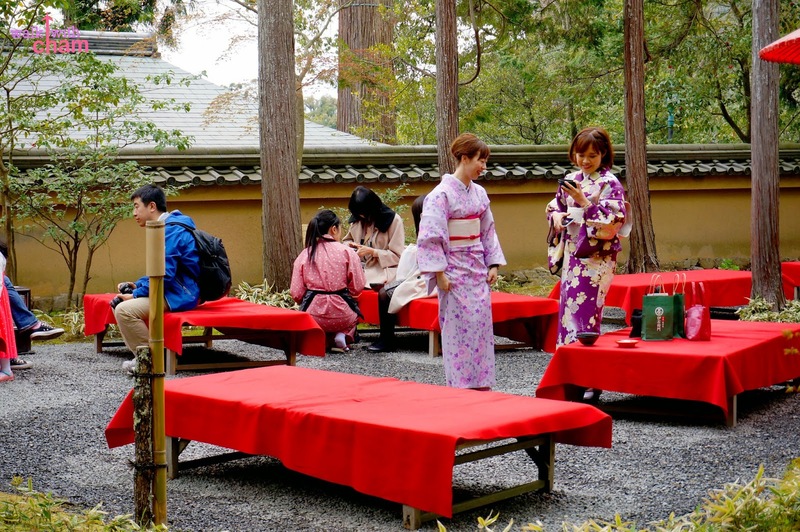 The garden design is a perfect example of Muromachi Period garden design. After getting as many pictures as we can, we walked our way toward the exit and saw some interesting sites along the way. 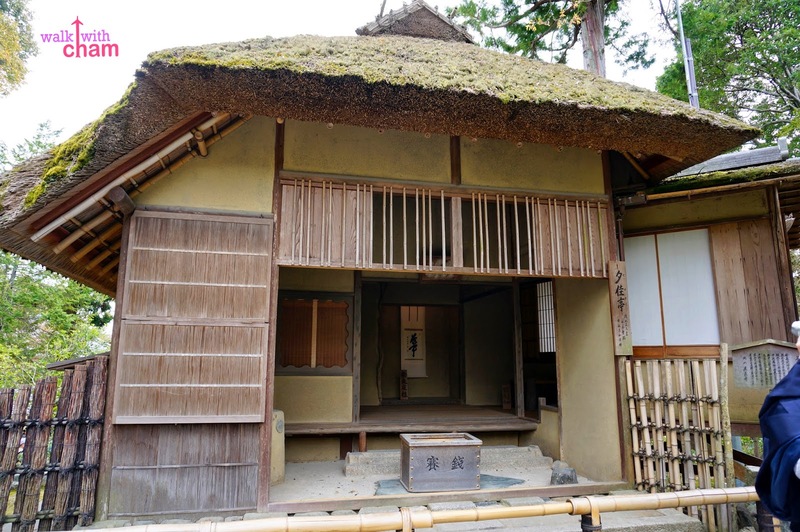 Sekkatei Tea House was built during the Edo Period. It offers a beautiful view of the Kinkakuji Temple during sunset. Visitor's Tea House is a place that serves matcha whipped green tea and sweets. 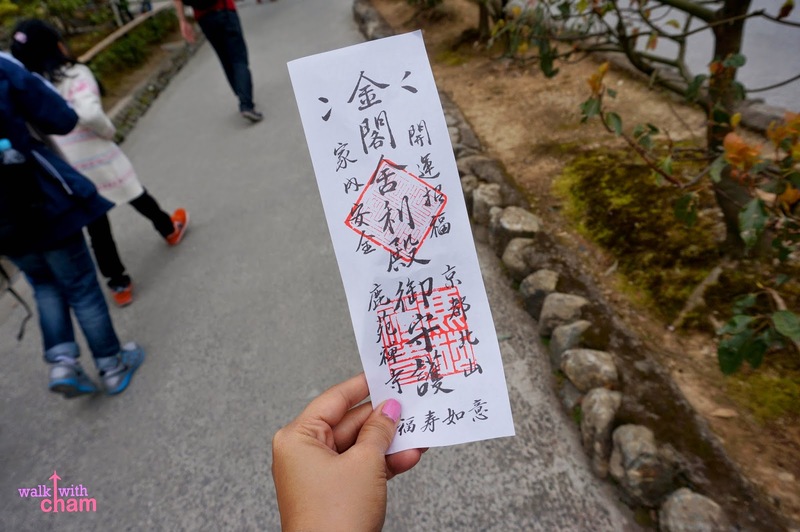 Fudo Hall is a temple with a stone statue of Fudo Myoo, a god of wisdom and protector of Buddhism. 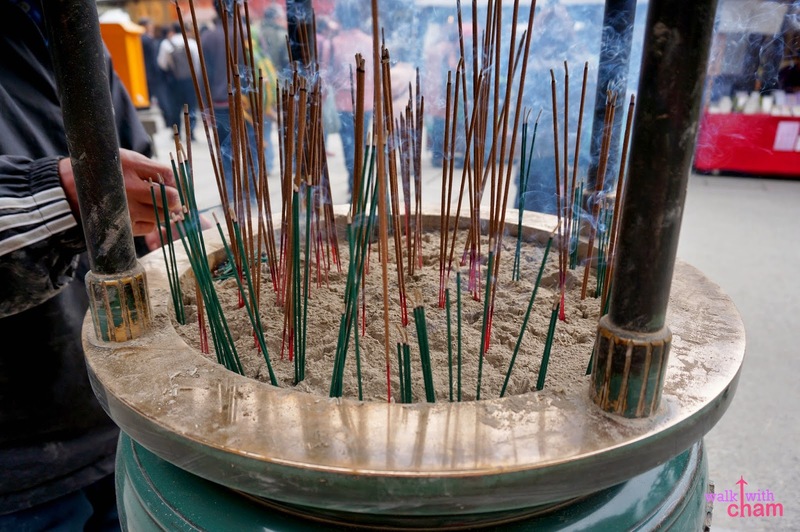 It has an incense altar in front which is believed to bestow good health by wafting the incense fumes to the body. 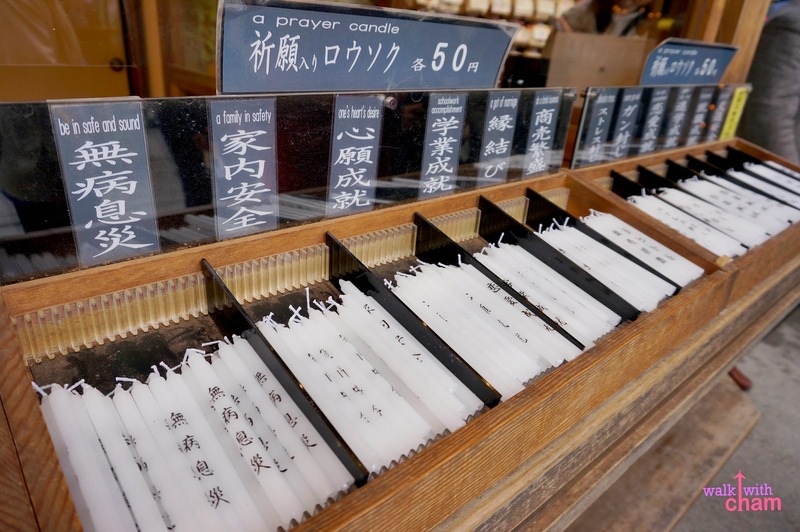 Visitors also offer prayer candles for Y50 (P22). 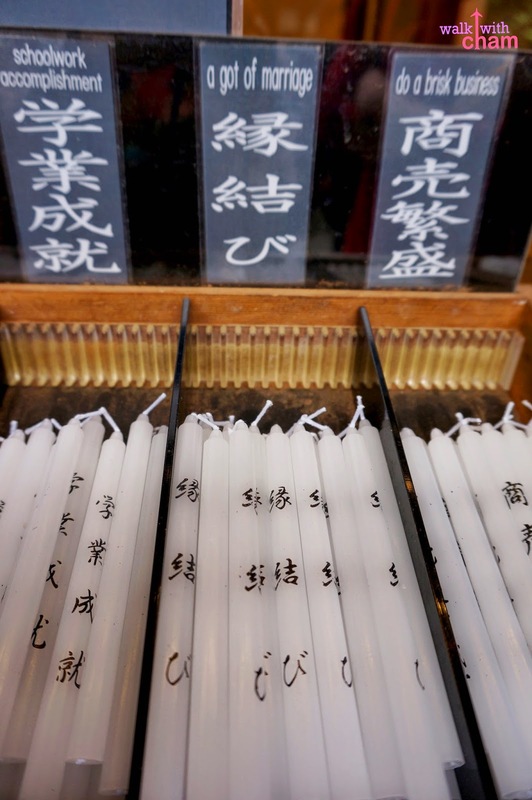 Each candle has a specific purpose. When I saw these particular set of candles, I teased Mike on the idea of offering one and I got no reaction from him- hahaha! 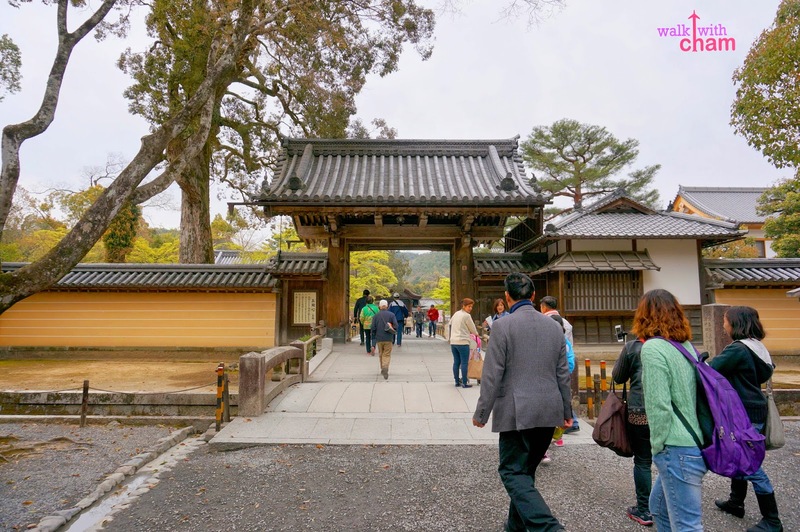 The best time to visit Kinkakuji is during morning where there are only few tourists. Nevertheless the view of the Golden Pavilion is undoubtedly stunning at anytime of the day. 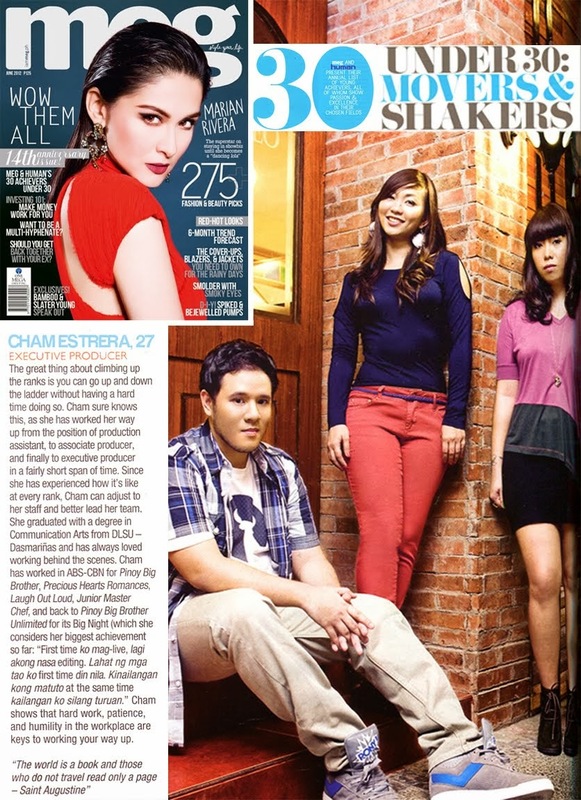 Get A .925 Silver Chain Online.